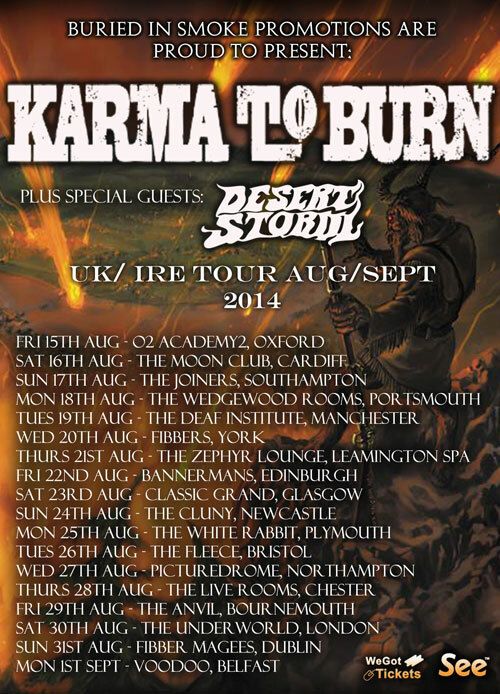 Legendary instrumental stoner-rock trio KARMA TO BURN are set to return to British shores later this year and chances are, they’ll be passing through a town near you as part of a huge 18-date tour this coming August! With hard riffin’ and heavy hittin’ classic records like ‘Wild Wonderful Purgatory‘ and ‘Almost Heathen‘ polished to perfection in their back pockets as well as tracks from their most recent triumph ‘V‘ now sitting neatly in their tightly-sewn live performances‎, KARMA TO BURN are never ones to disappoint on any stage. 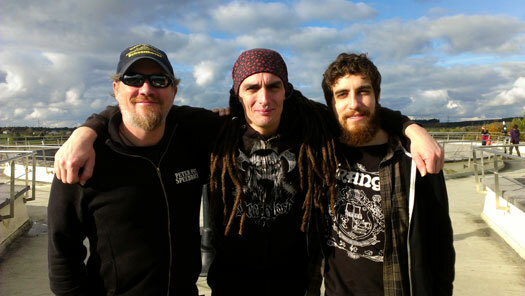 ‎2014 sees the band undergoing somewhat of a transformation with bass player Irish Rob (of The Exploited) joining the fold, replacing long-time 4-stringer Rich Mullins. 2014 is sure to be a busy year for the West Virginians as they prepare to release their sixth studio full-length later this term, along with a split 7-inch on H42 Records with Sons Of Alpha Centuari, which will be officially launched at The Underworld, London on August 30th.